Video – How to Assemble the Traxxas Ford GT Body « Big Squid RC – RC Car and Truck News, Reviews, Videos, and More! Recently uploaded by Traxxas is a new video showing you how to Assemble The Traxxas Ford GT Body. The Traxxas Ford GT is a great looking body, and also quite high-tech. 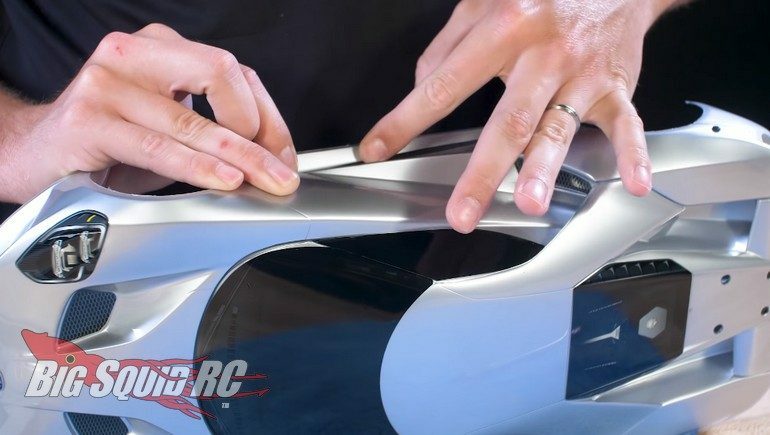 The video below shows you not only how to paint the Ford GT, but also how to assemble its various parts in the proper order for a perfect build. After watching the video, you can hit This Link for more details, or you can Click Here to read more Traxxas news on BigSquidRC.